PAUL NICHOLLS’S LEGENDARY chaser Kauto Star only has a 50-50 chance of taking his place in this year’s Cheltenham Gold Cup, the trainer revealed this evening. But a “pretty awful fall” on the gallops last week now appears to have put his appearance in doubt. Although Kauto is a sound, he is still a bit sore and Nicholls is adamant that he won’t take any risks unless the horse is in the whole of his health. “I am sad to report that his participation at the Cheltenham Festival is in doubt,” Nicholls wrote on his Betfair blog this evening. ”Kauto took a tumble when Ruby schooled him at the end of last week. I say tumble, but in truth it was a pretty awful fall. Clive [Smith, Kauto's owner] was obviously consulted at all times and we immediately got Kauto checked over. Even though he trotted sound, it was plain to see that he was sore afterwards. I spoke to Clifford [Baker, Nicholls's head lad] after returning to the stables after a Cheltenham media day yesterday, and he said Kauto still wasn’t fully recovered, remained quite stiff, and in his wise words he felt he was “only 50-50″ to make the Festival at this stage. Despite his obvious concern at the setback, Nicholls remained optimistic that his stable’s star would make a full recovery in time for his showdown with Long Run. “Even if there is the slightest doubt in our minds, then he stays at home. No question. We will do what is best for the horse. Always have, always will. End of story. “But one thing I think we have all learned with Kauto is never to write him off. 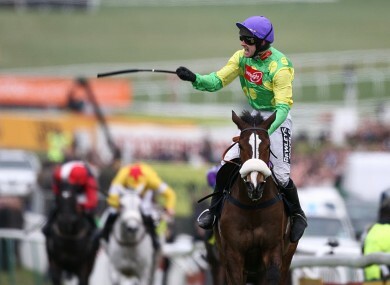 Email “Cheltenham without Kauto? Legend's Festival run hangs in the balance”. Feedback on “Cheltenham without Kauto? Legend's Festival run hangs in the balance”.